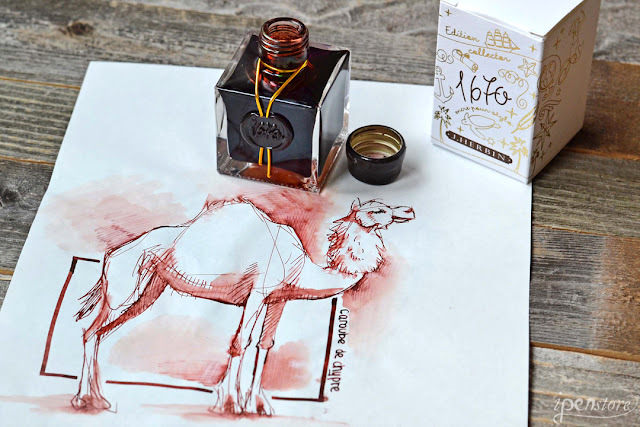 We were excited to test this ink and compare it to other popular brown inks. 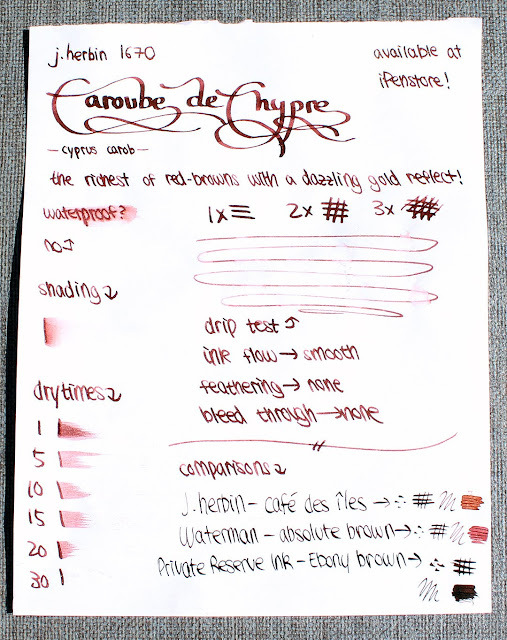 Our first impression was of the beautiful red-brown color of the ink. It has beautiful shading, as you can see from Tiffany's artwork with the ink and a water brush! 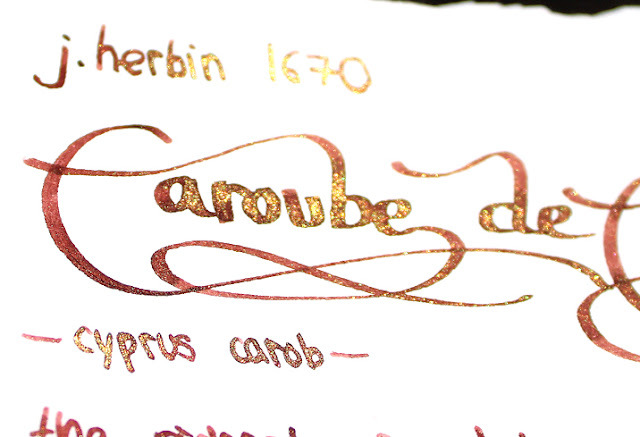 The ink has a green sheen to it that shows up especially on good quality paper, and the gold flecks give it a beautiful shimmer. 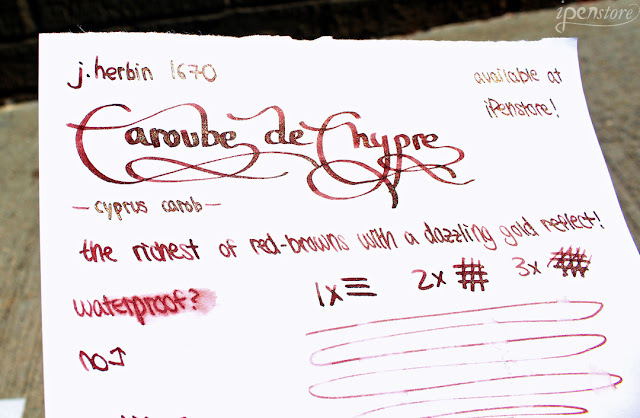 The ink isn't waterproof, but it isn't too bad either. If you do manage to spill some water on your writing, you can still make out what you wrote. When you move the paper from side to side, especially in the sunlight, your writing really shimmers. One of the down sides to the gold shimmer, is that you really have to shake it! 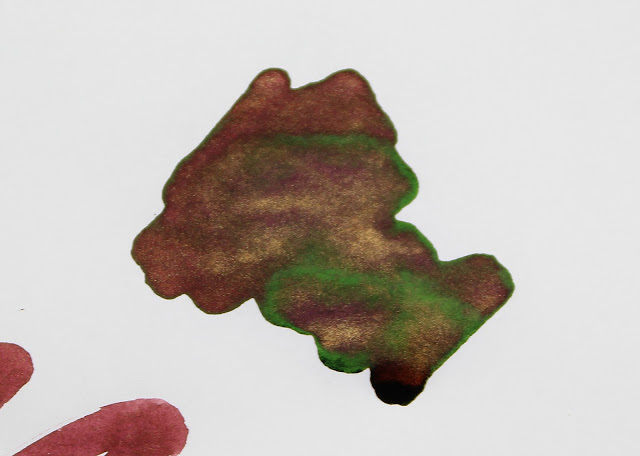 If you're using a dip pen with this ink, there will be a lot of stopping, recapping your ink and vigorous shaking in between writing. Ink Swatch- 2 passes on the left, and one on the right! So what do you think about this ink? Some may want to try it, but would rather not buy an entire bottle. 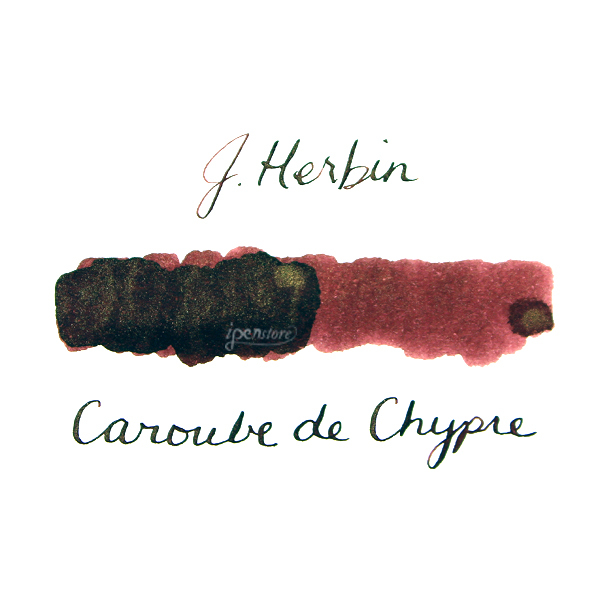 We have samples available for purchase, or *SPOILER ALERT* if you are an iPenBox subscriber and you can wait patiently for a couple more weeks, we are including a sample of this ink in our August iPenBox!